YOKOHAMA, Japan, Nov 6, 2018 - (JCN Newswire) - Mitsubishi Hitachi Power Systems, Ltd. (MHPS) has concluded a second Long-Term Service Agreement (LTSA) for the Ras Laffan C Independent water and Power Project (IWPP) in Ras Laffan Industrial City, The State of Qatar, covering eight MHPS' M701F gas turbines currently in operation at the gas turbine combined cycle (GTCC) power generation facility. The contract period will be for 15 years, starting from 2019. The power generating facilities were ordered in 2008. The plant has a total generating capacity of 2,730 MW, and is used to power a desalination plant with capacity to produce 63 million gallons (approx. 240,000 kl) of fresh water per day from seawater. MHPS has handled maintenance for the gas turbines under the LTSA since the plant began operations in 2010, and concluded a second LTSA as the first came up for renewal. This second LTSA contract was concluded with RAS GIRTAS Power Company (RGPC), based on the high assessment of MHPS' maintenance capabilities in fulfilling the first LTSA. MHPS will continue providing such services as parts and repairs for routine inspections, and remote monitoring of the operating status. Qatar is actively developing the nation's social and industrial infrastructure utilizing its abundant natural gas resources. The Ras Laffan power and desalination project is a characteristic large-scale infrastructure project in the Middle East region. 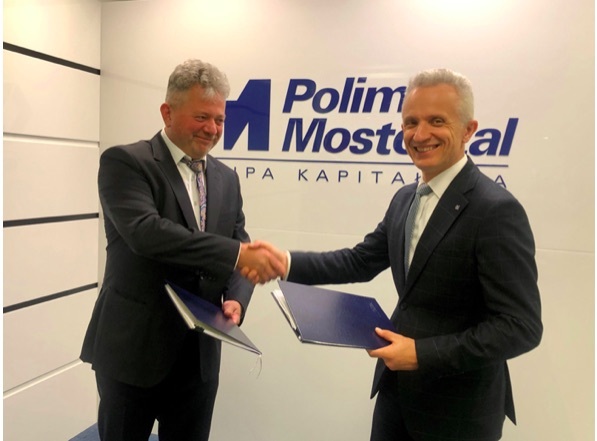 MHPS, through environment-minded advanced thermal power systems, is developing its after-sales service business for existing plants like this IWPP project. 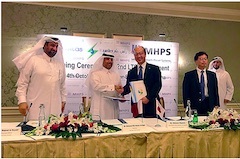 Further, through its representative office established in Doha, the capital of Qater in October 2018, MHPS is responding more precisely to the steady demand for power generation in Qatar by collecting information on various types of social infrastructure projects and strengthening its communications to customers, as well as contributing to economic development and reducing the environmental load while providing a comprehensive service tailored to diverse needs.